Tunes cranked, snacks at the ready, a Starbucks in the cup-holder, a change of clothes in the back. Sun rising, glasses on, I’m gassed up and rolling. 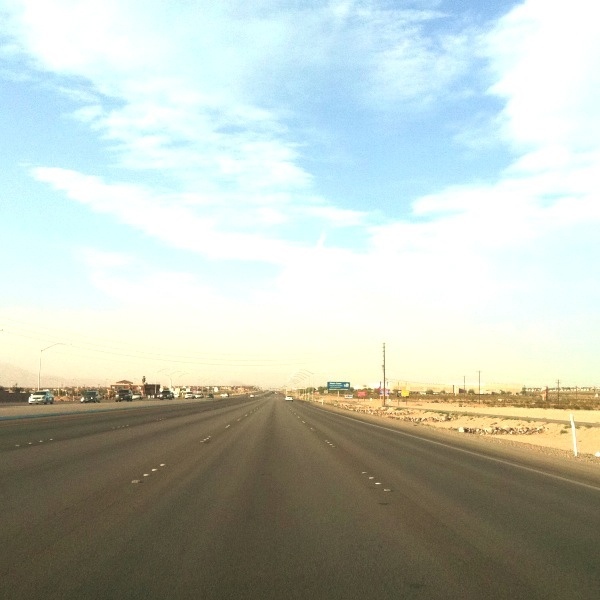 Flying along the smooth straight stretch of blacktop between Vegas and LA. Well, it really doesn’t get much better than this. This entry was posted in Doncha Love, Musing. Bookmark the permalink.